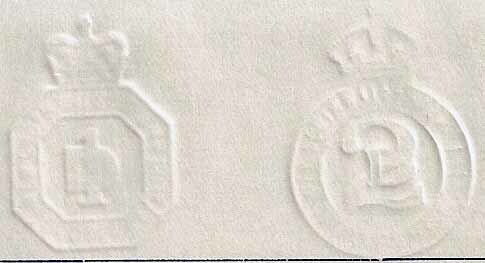 Multiplied by the electrotype process with the moulds being first taken in 'gutta percha' by Mr Richards Gov't Printer. 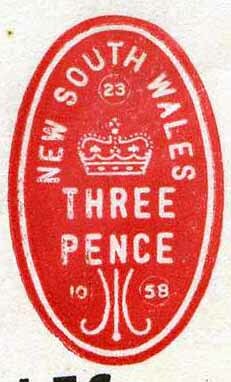 Design & engraving [in wood] executed by Mr Walter Mason. 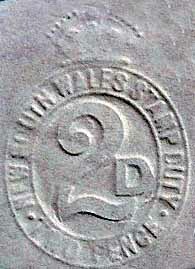 Printed by the Lithographic process with the design being transferred to stone. 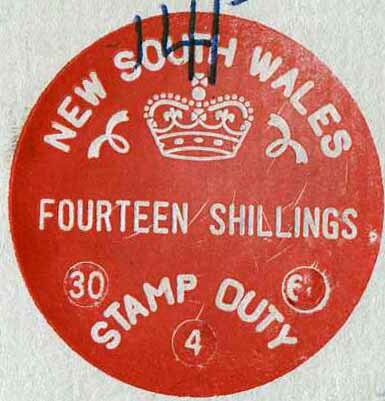 Original Die & Plate proofs, archives only. 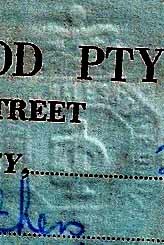 Lithographic Printed by Mr Richards Gov't Printer. 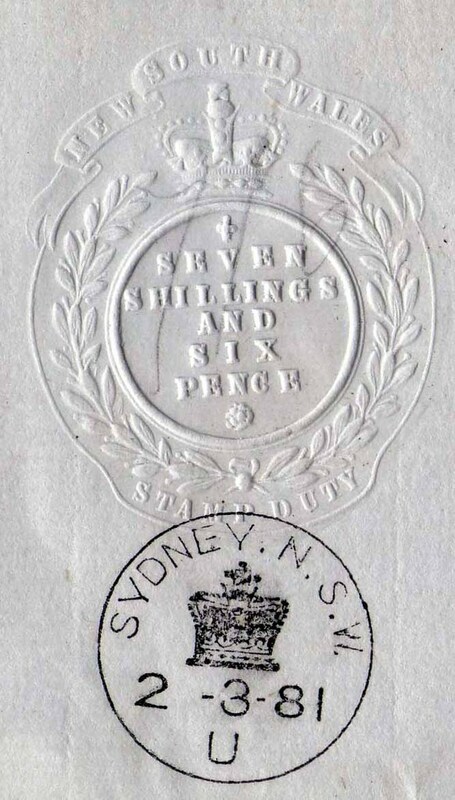 Design drawn by Mr Stopps, lithographic draftsman at the Survey Office. 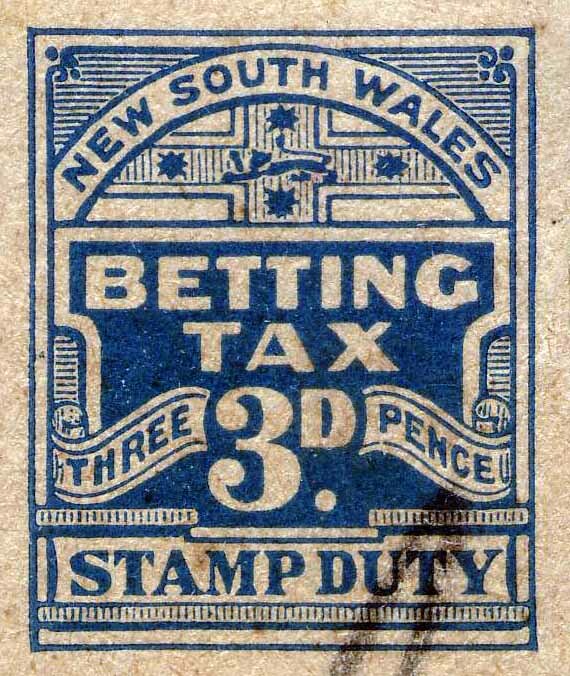 Engraved in wood by Mr Twenlow of Pitt St, Sydney, NSW. 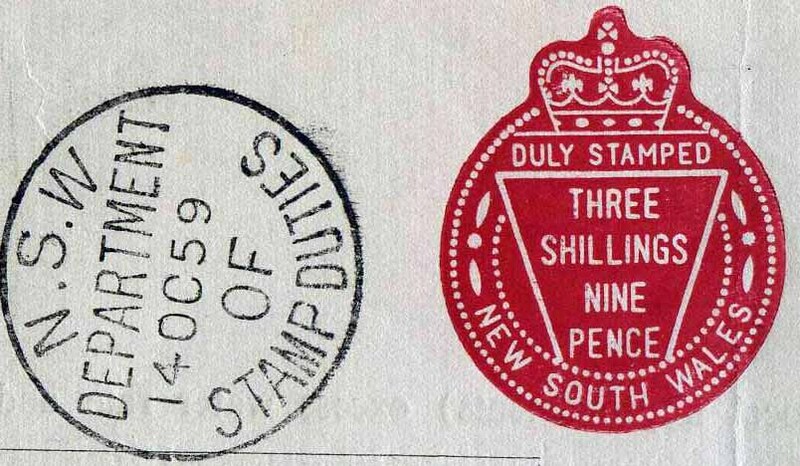 Fiscal Postals; From 1 May 1873 to 1901 all listed postage stamps in Stanley Gibbons & Scott catalogue were available for revenue purposes. 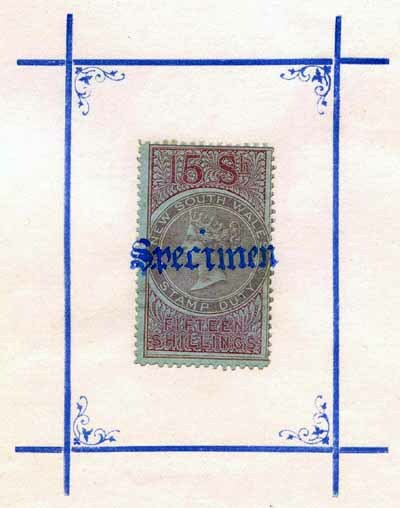 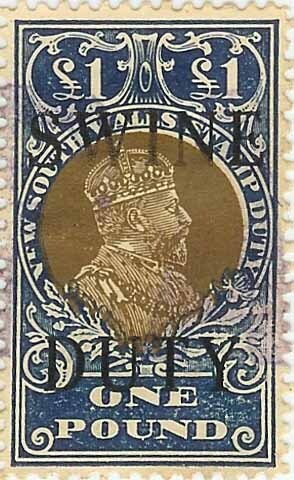 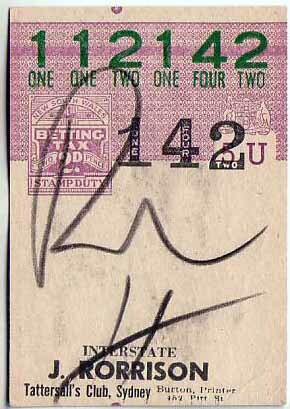 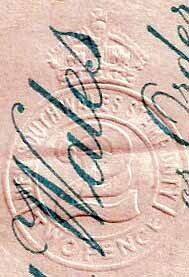 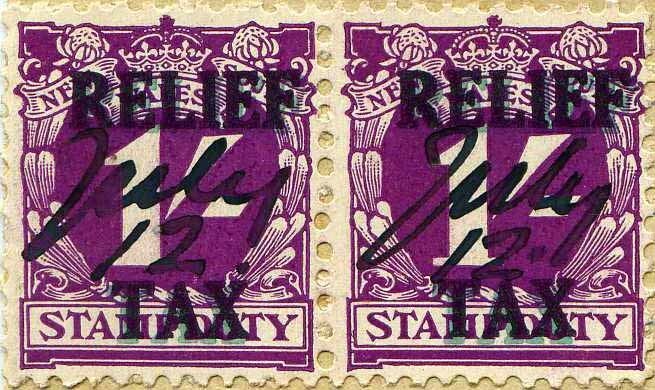 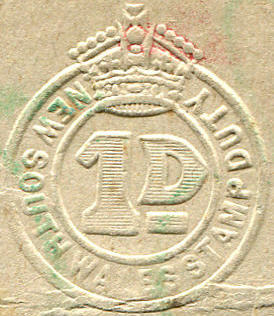 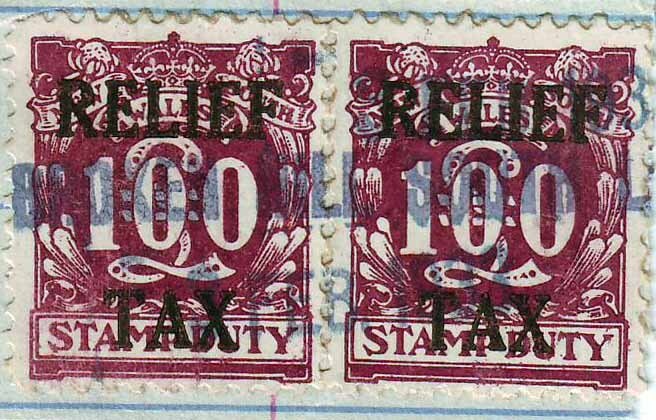 This time frame also allowed revenue stamps to be used postally. 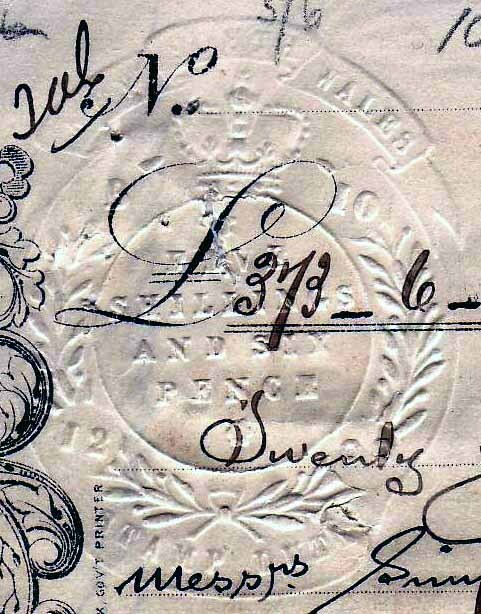 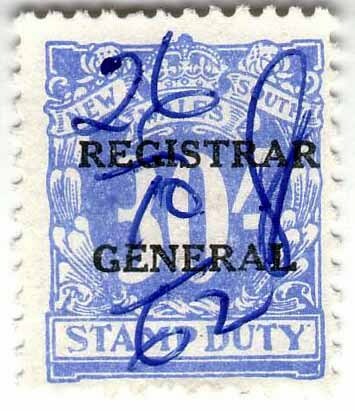 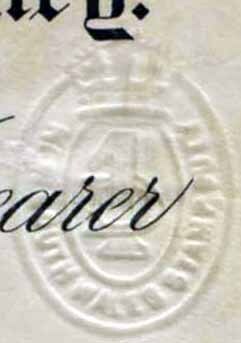 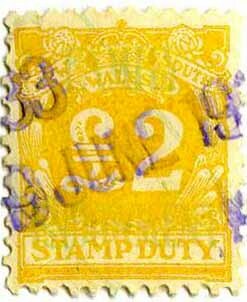 The Registered label of 1856, 1860 & 1863 did not pay the postage and was an additional fee for the registered service this can be classed as a revenue. 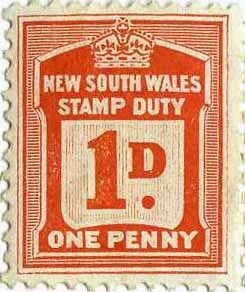 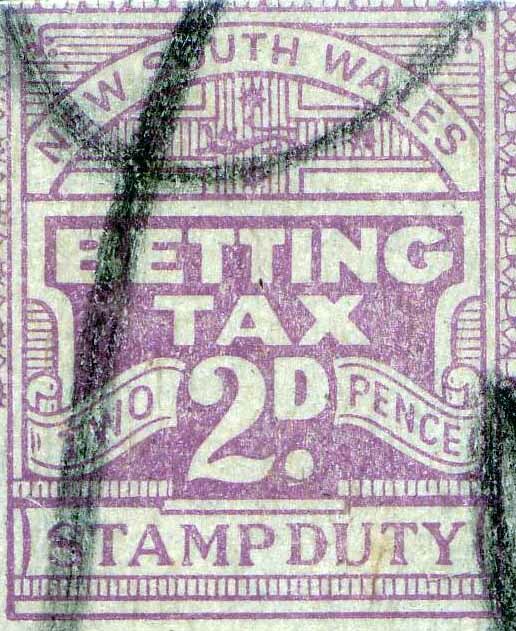 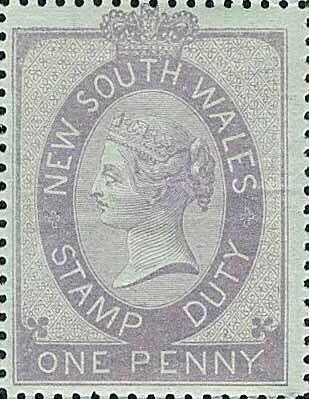 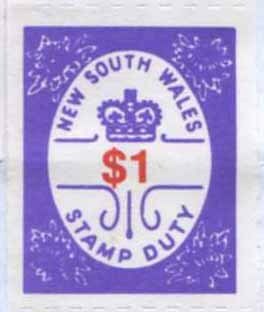 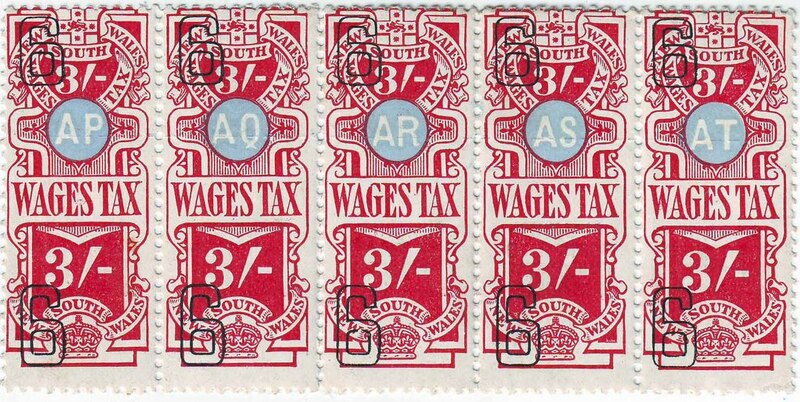 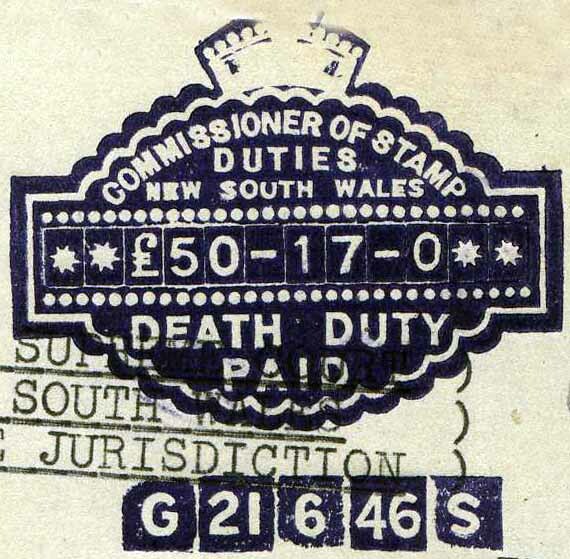 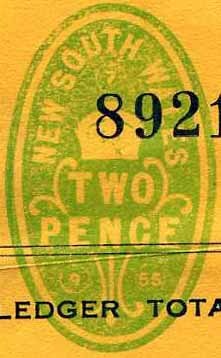 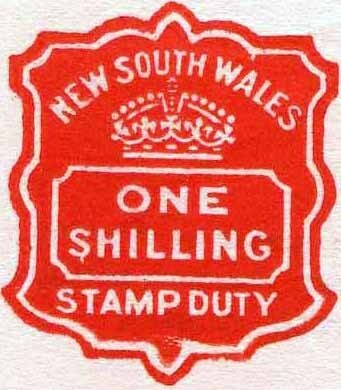 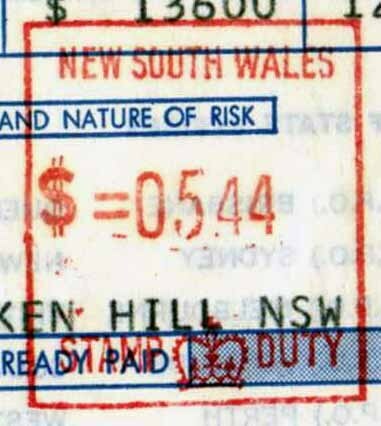 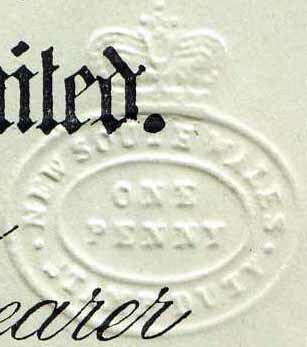 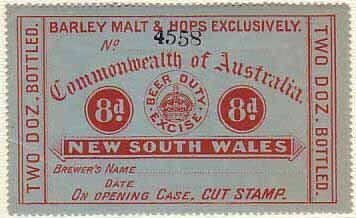 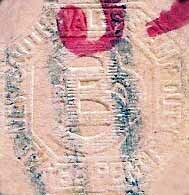 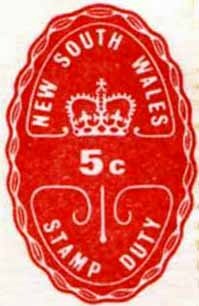 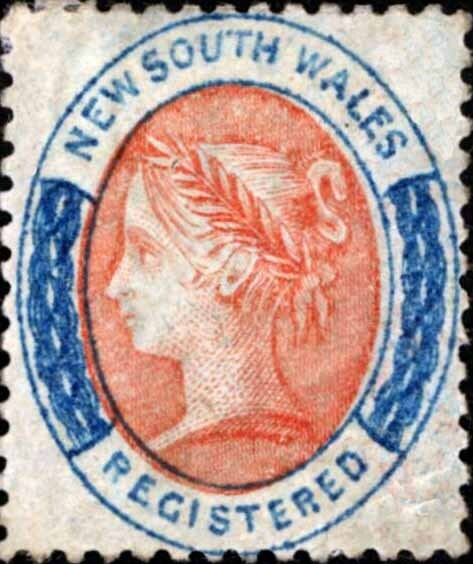 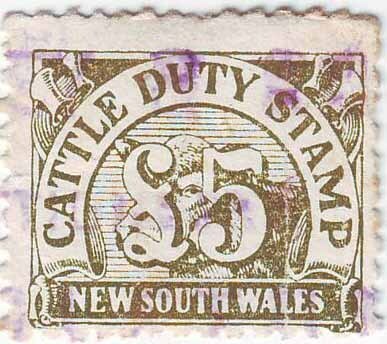 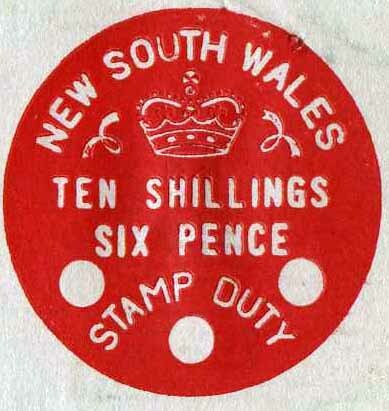 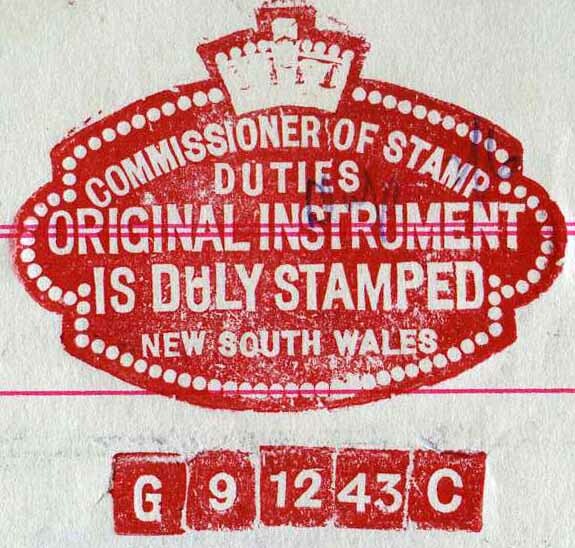 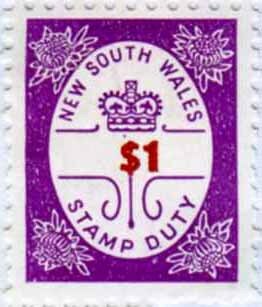 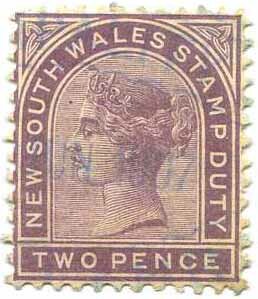 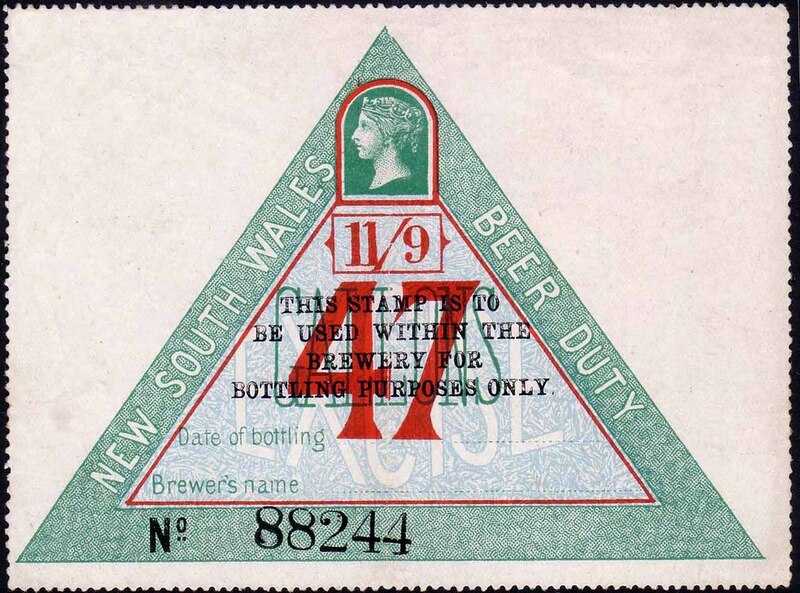 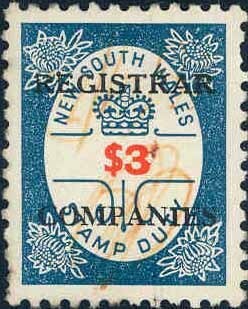 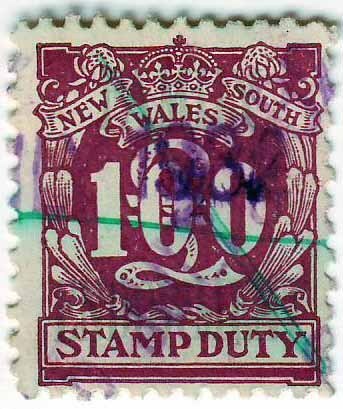 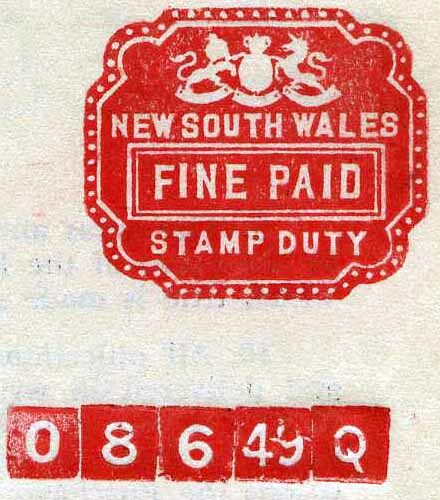 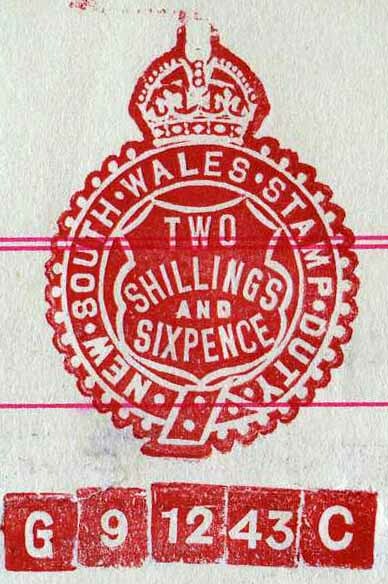 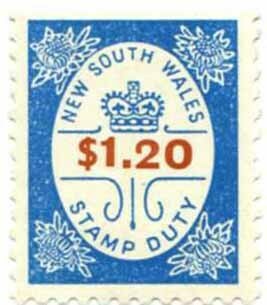 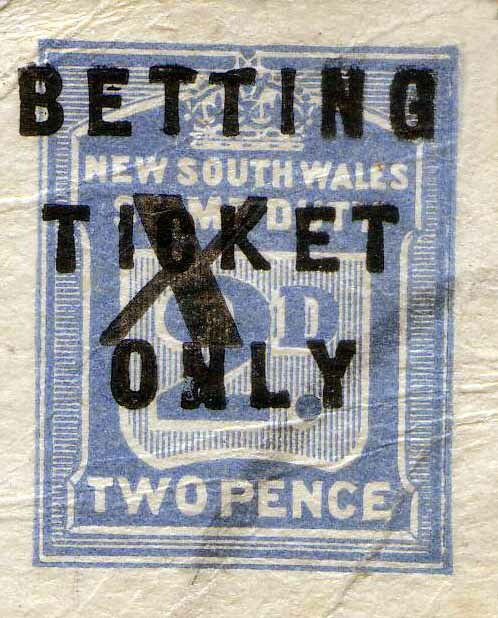 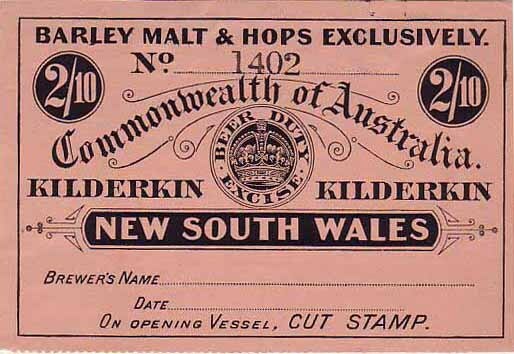 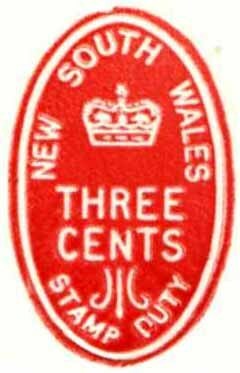 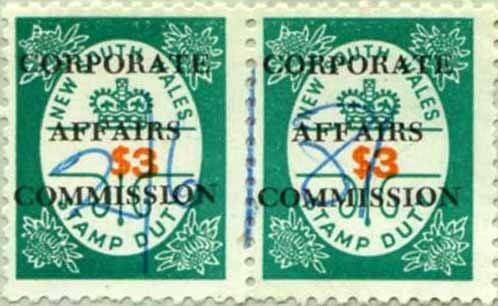 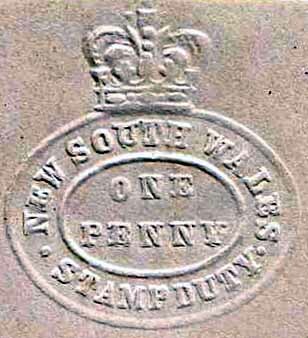 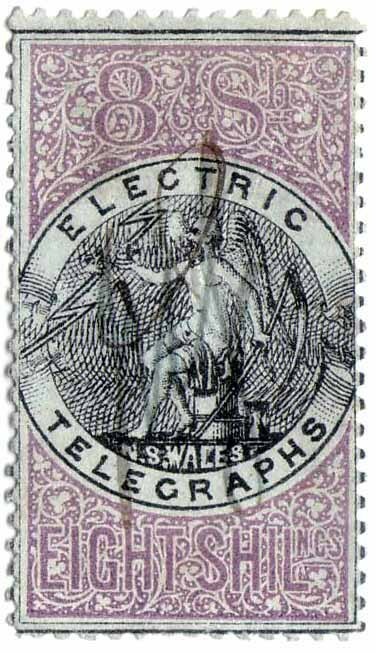 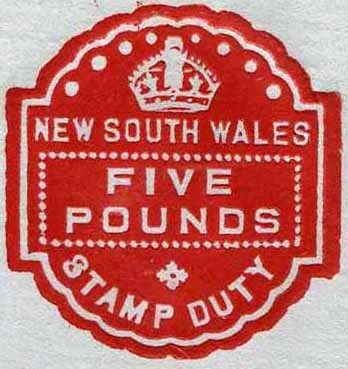 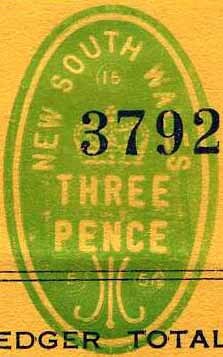 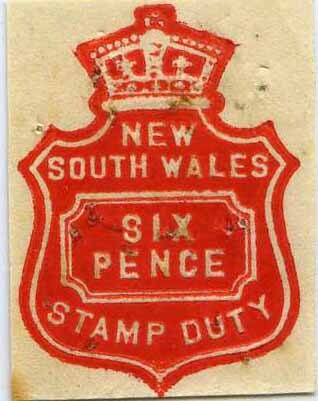 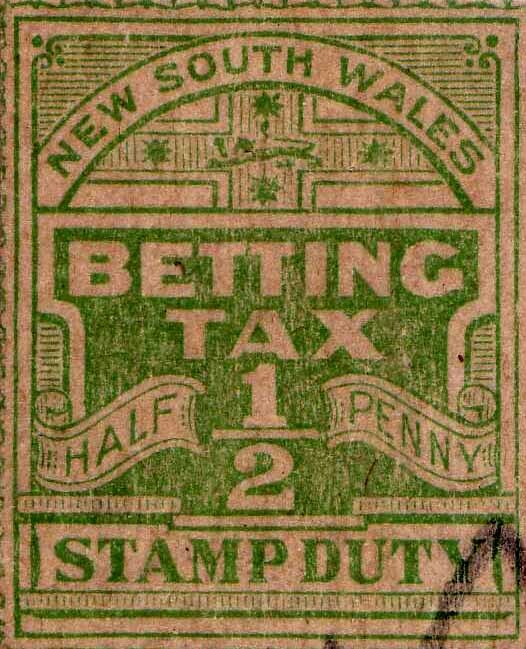 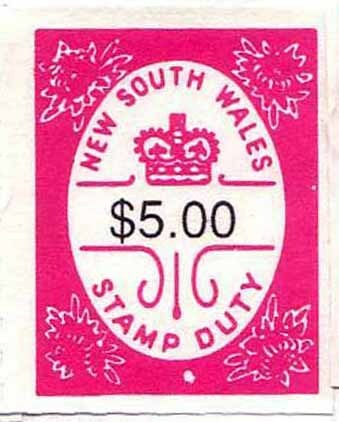 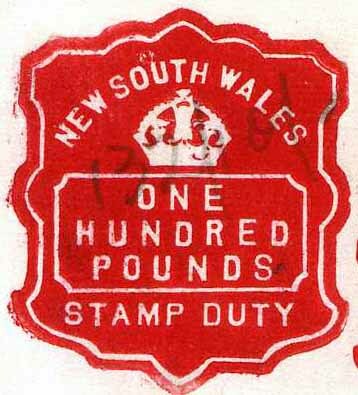 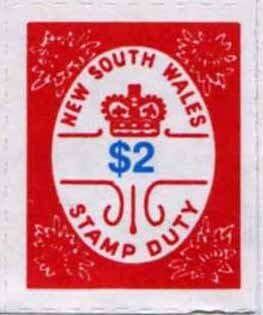 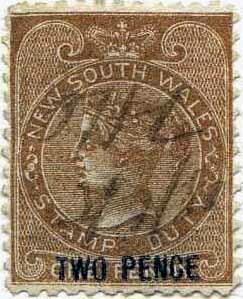 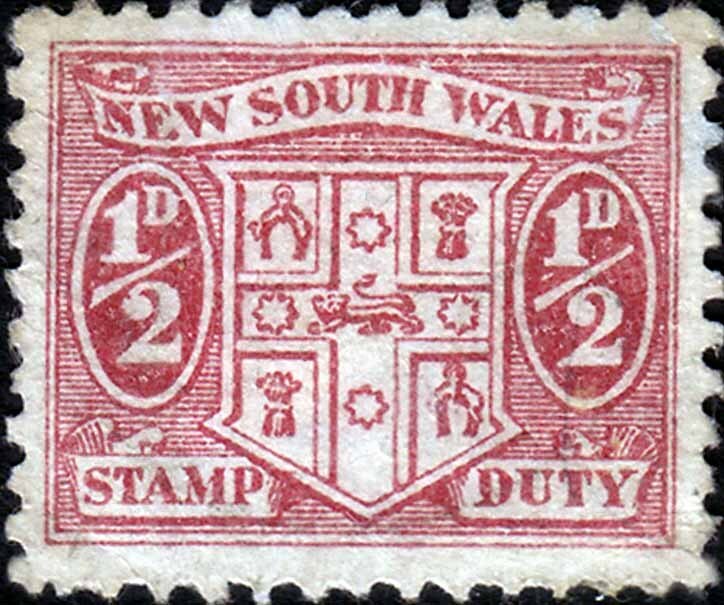 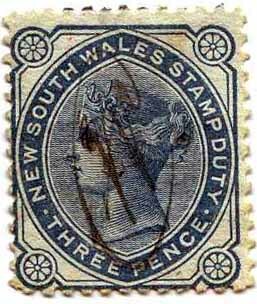 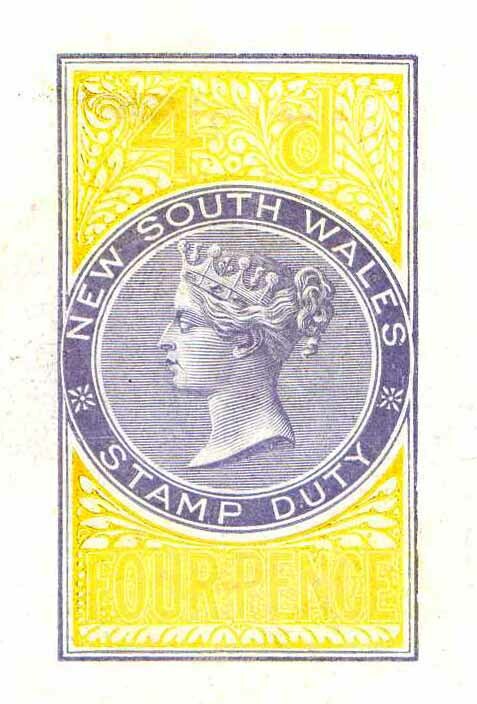 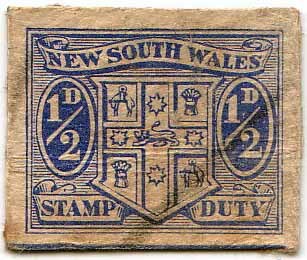 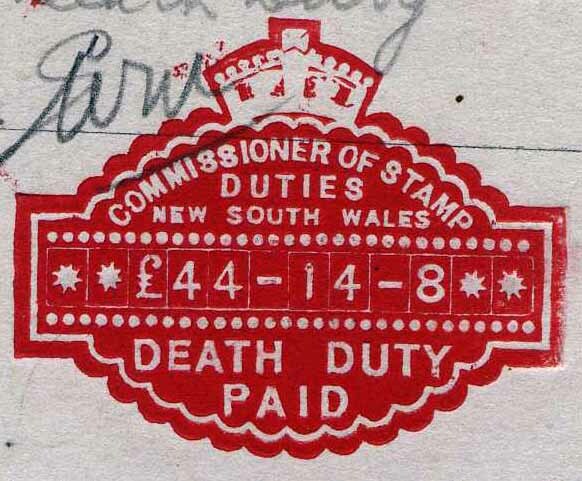 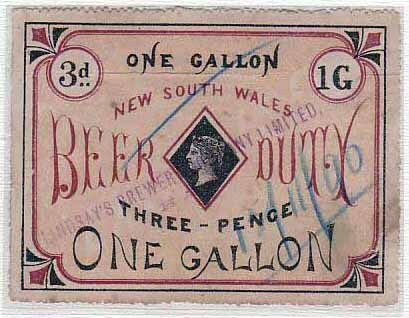 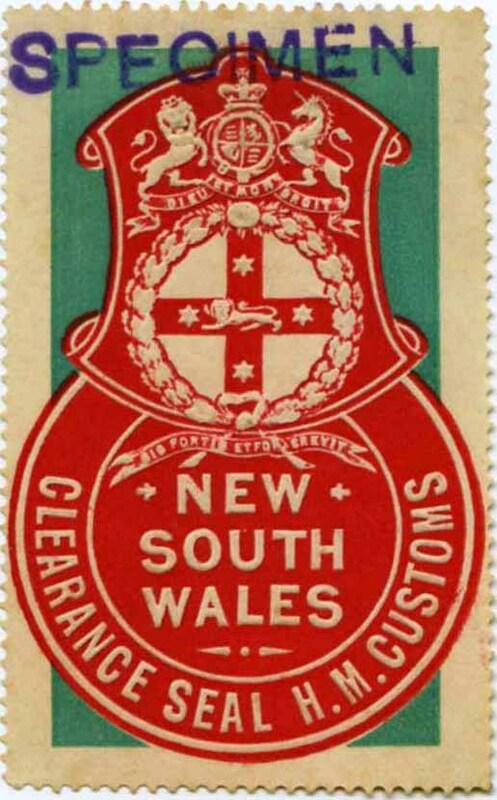 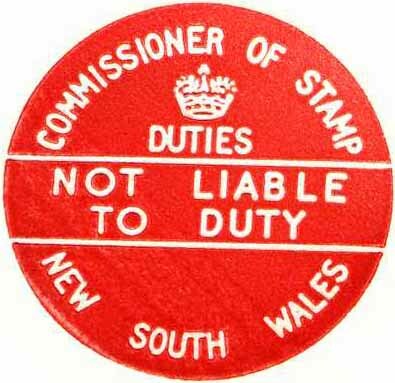 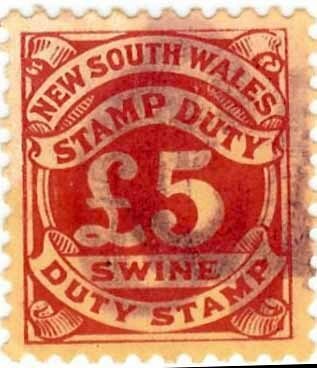 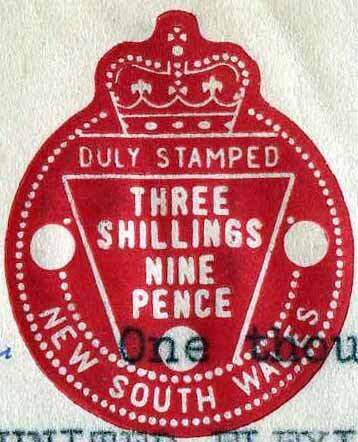 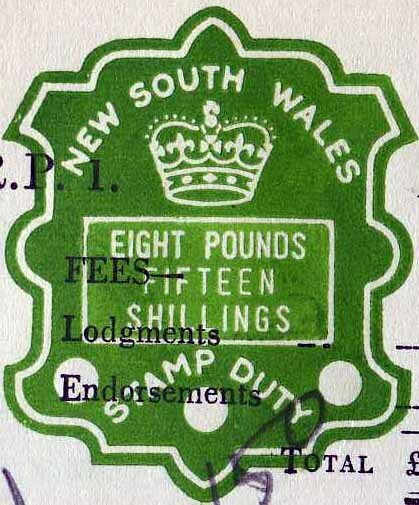 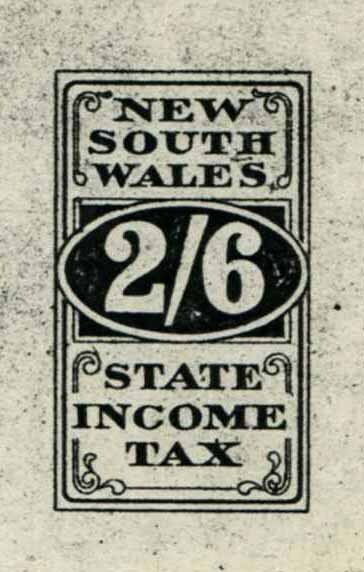 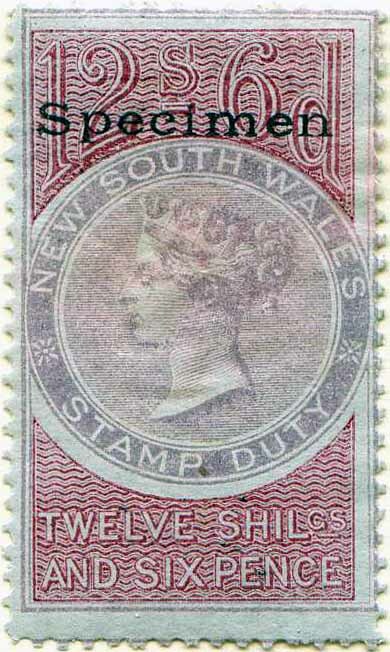 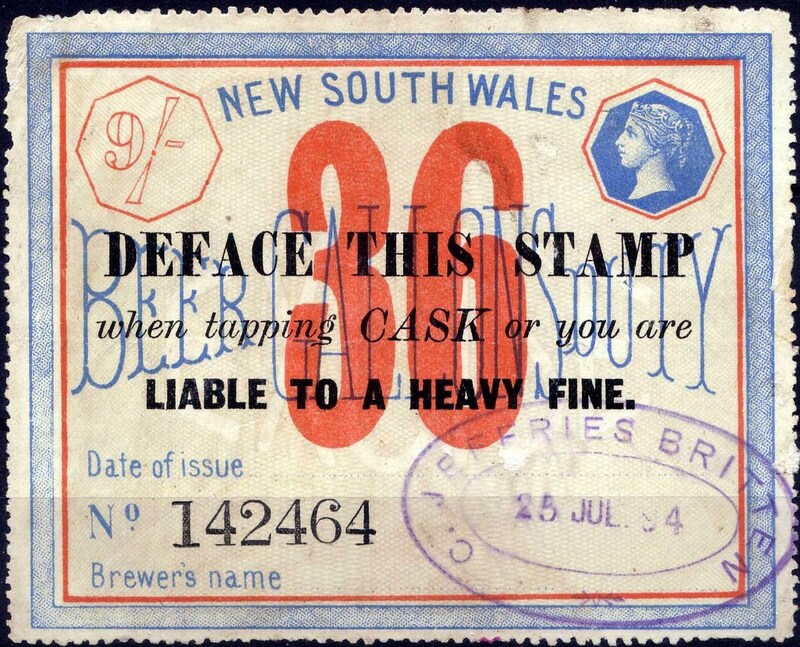 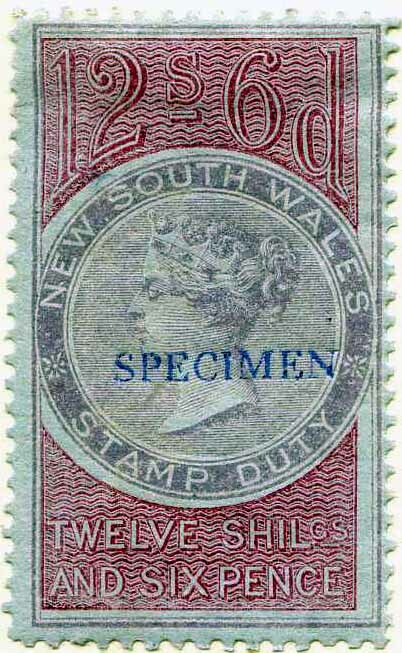 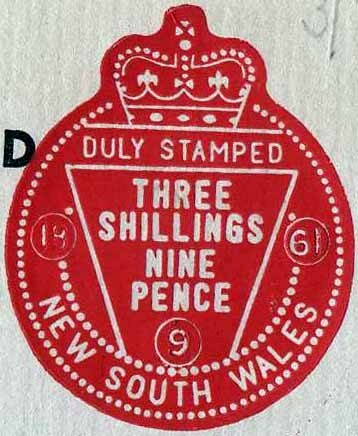 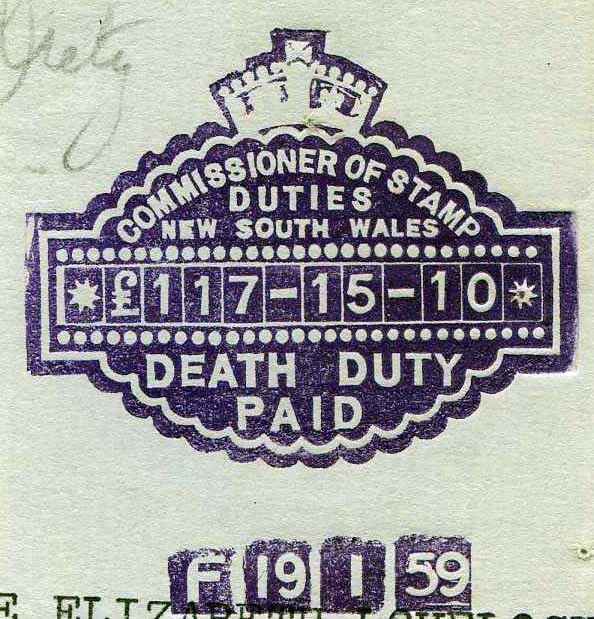 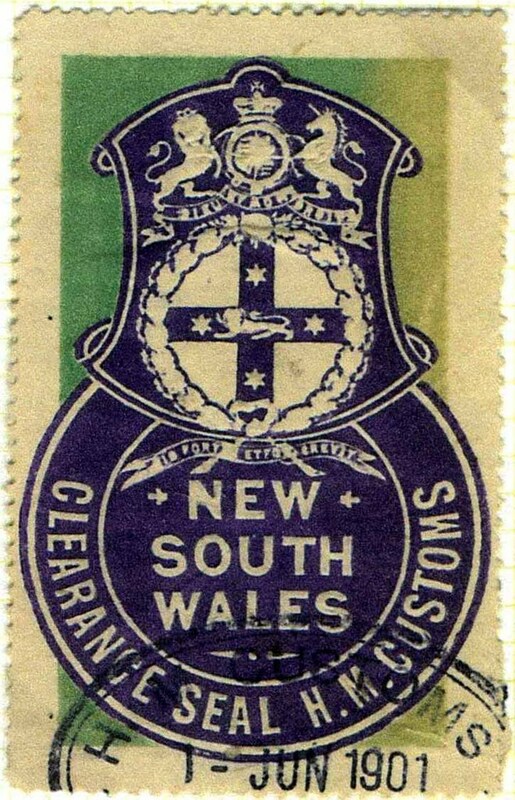 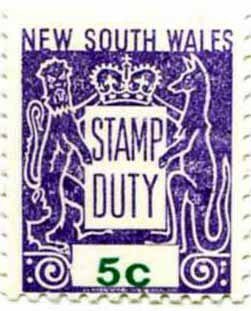 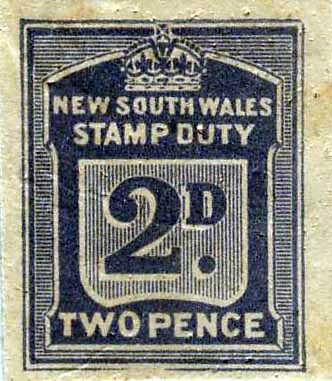 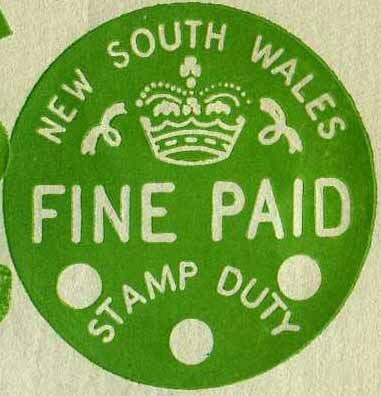 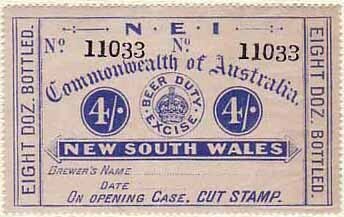 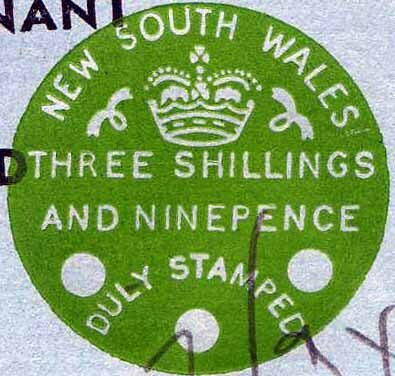 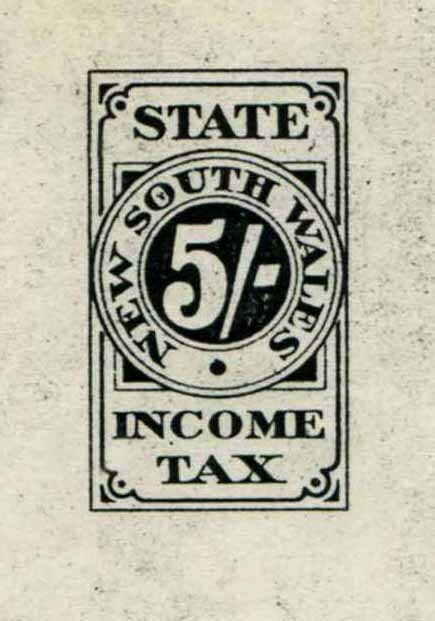 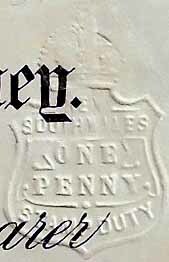 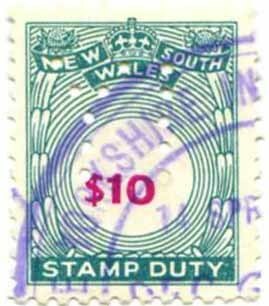 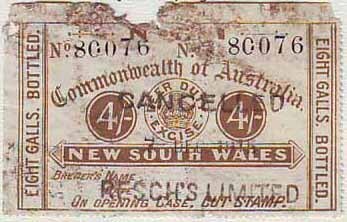 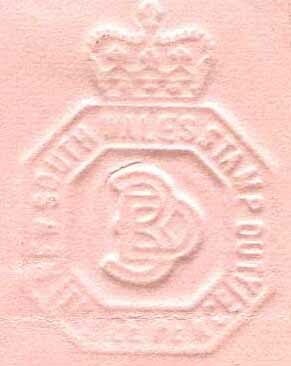 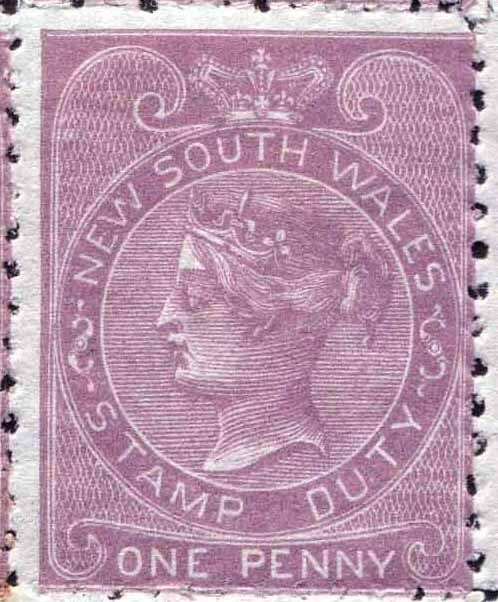 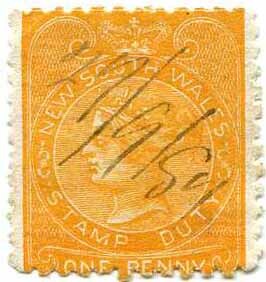 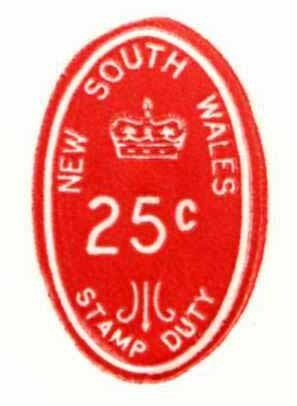 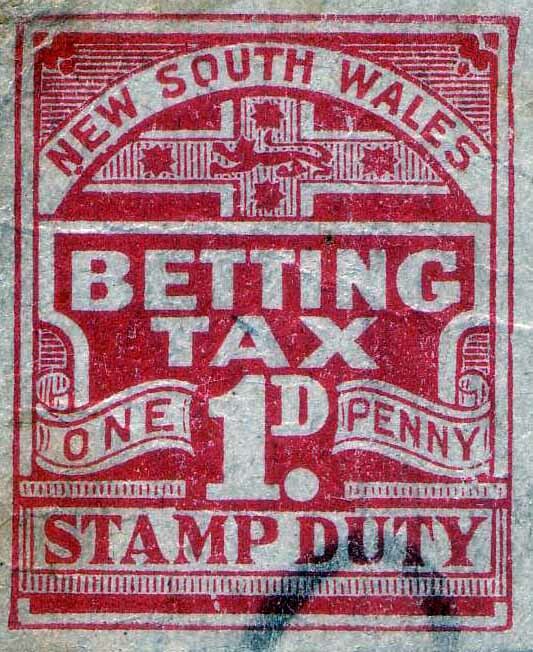 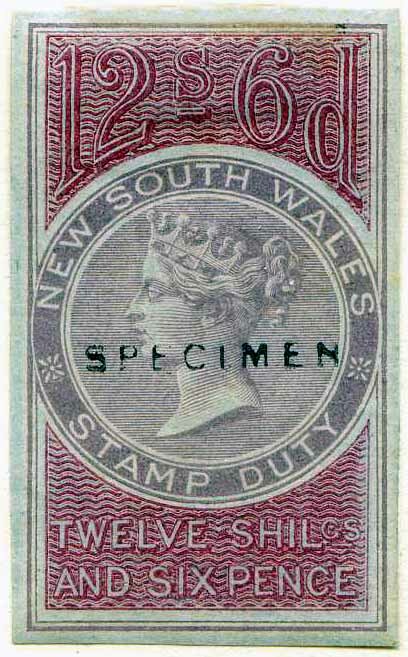 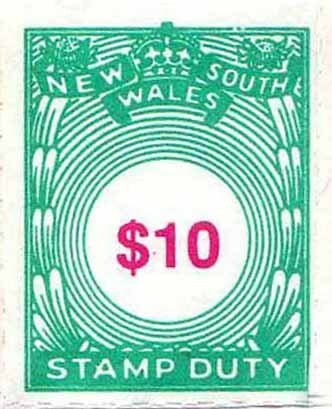 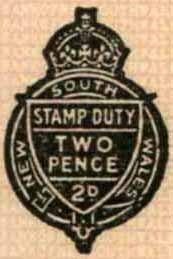 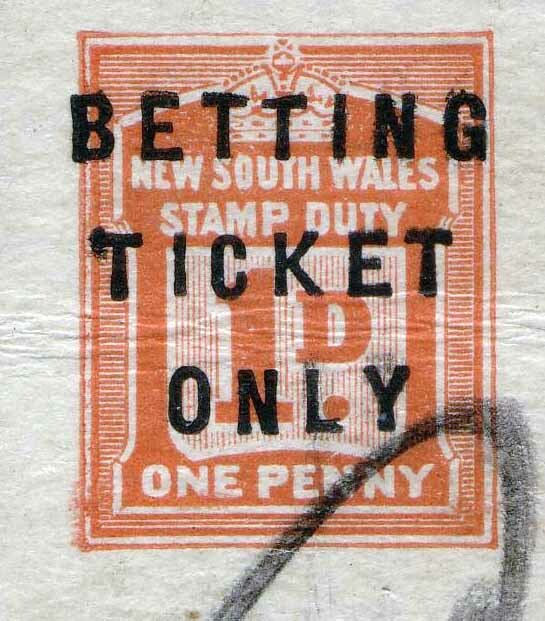 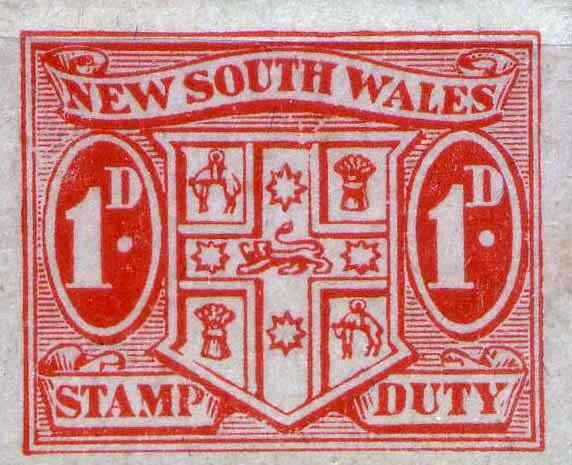 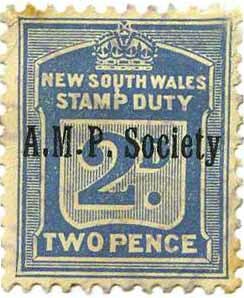 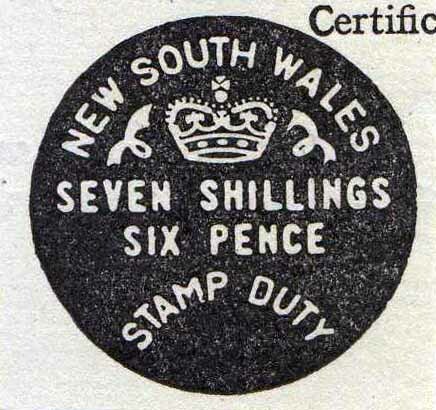 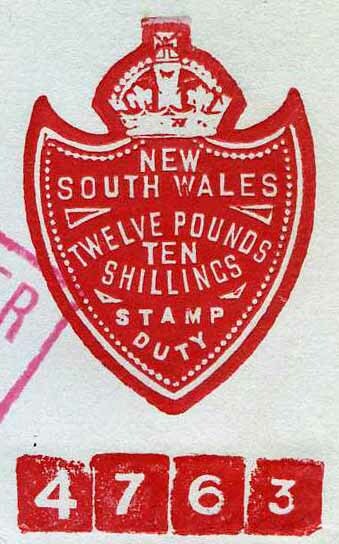 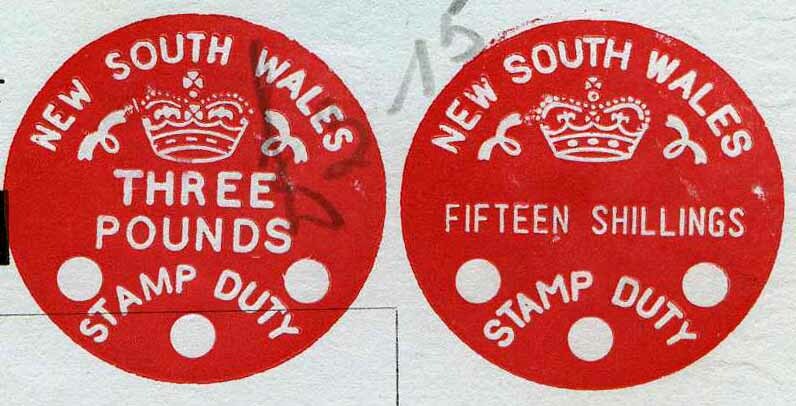 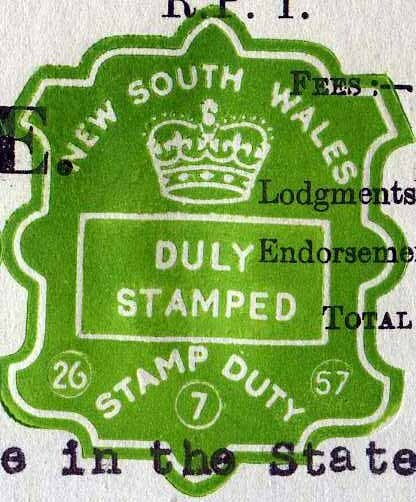 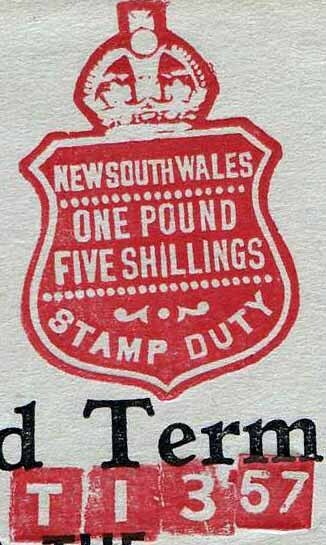 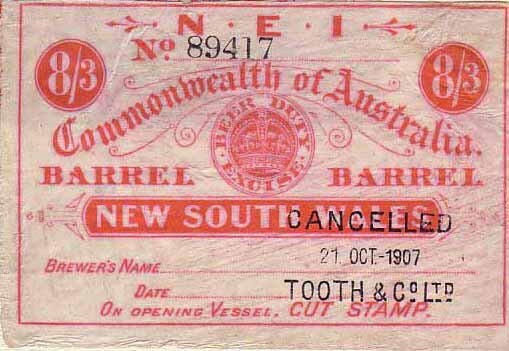 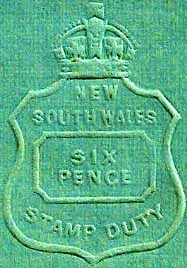 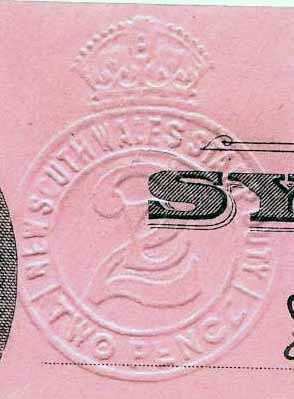 These fee stamps are listed in SG & at the end of New South Wales in the Scott catalogue. 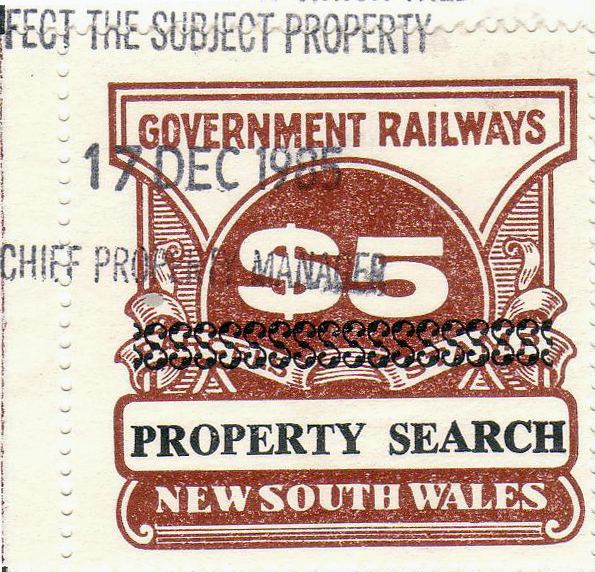 This fee was paid by solicitors requesting a general property search for a client who wished to buy property possibly adjoining railway land. 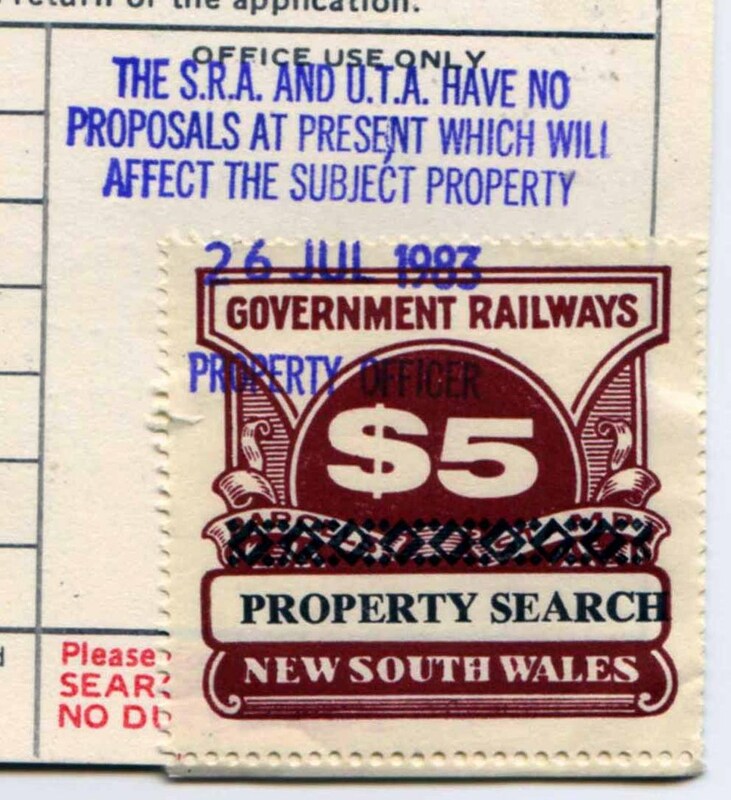 The fee was paid to the State Rail Authority who in turn issued a document stating “The S.R.A. 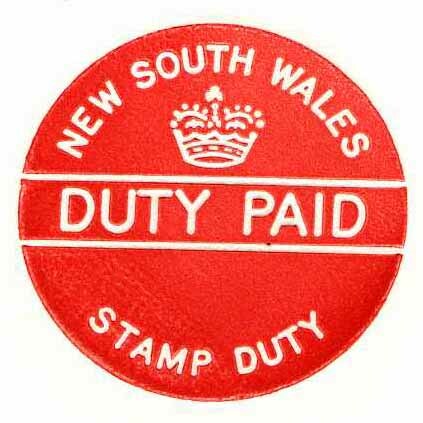 and U.T.A. 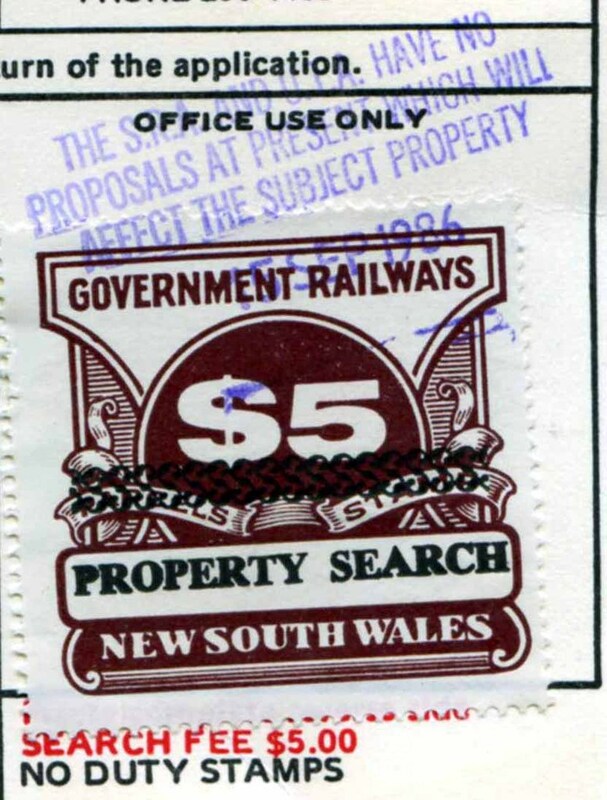 have no proposals at present which will affect the subject property”. 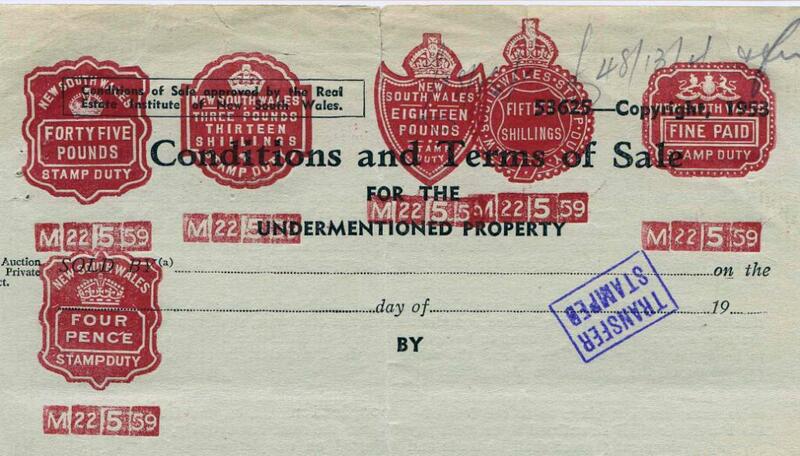 I am yet to see a document stating there is a proposal for future work to a development. 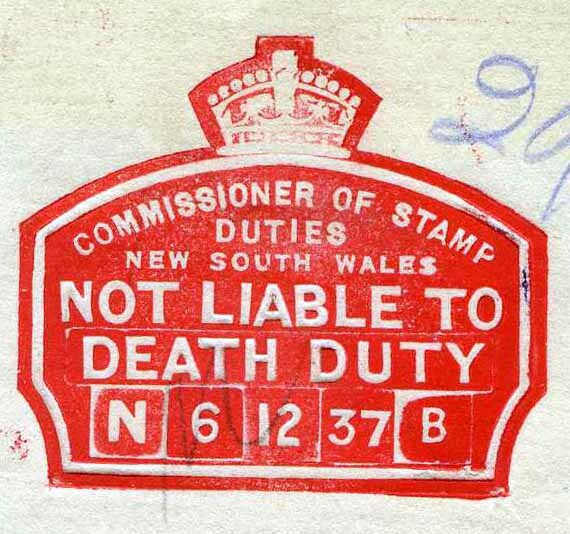 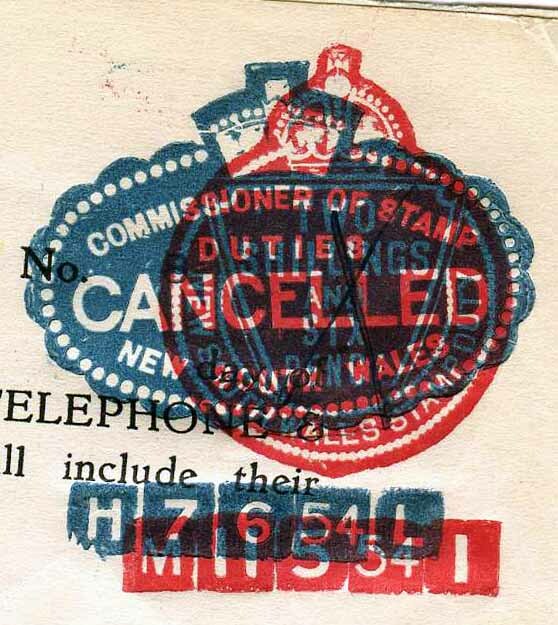 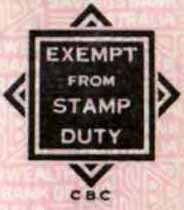 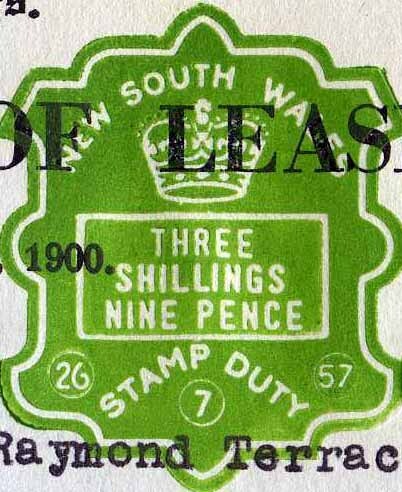 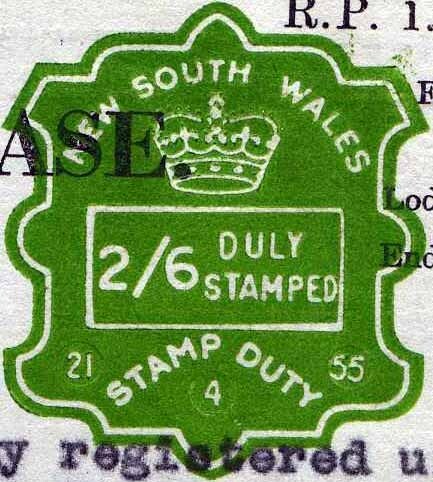 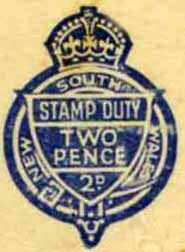 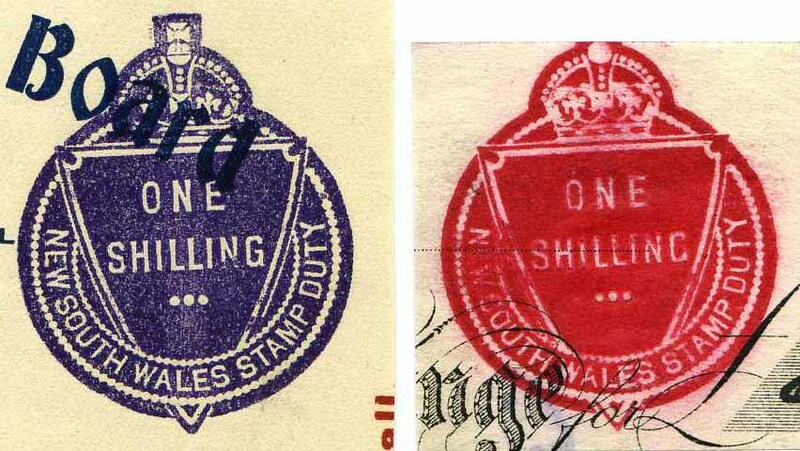 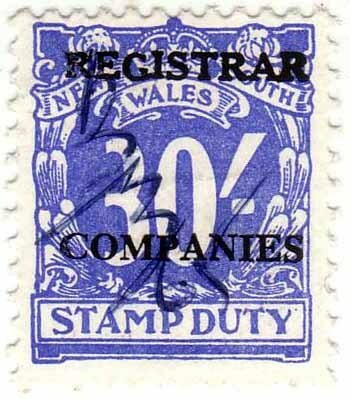 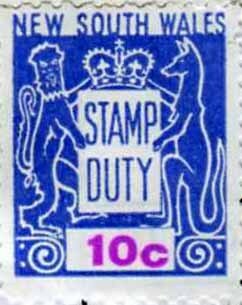 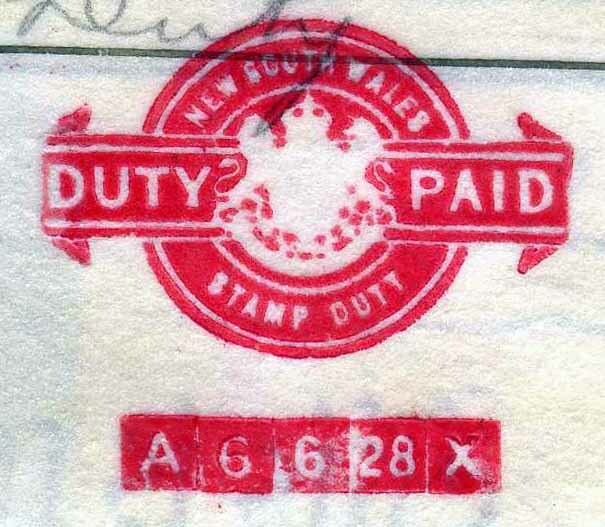 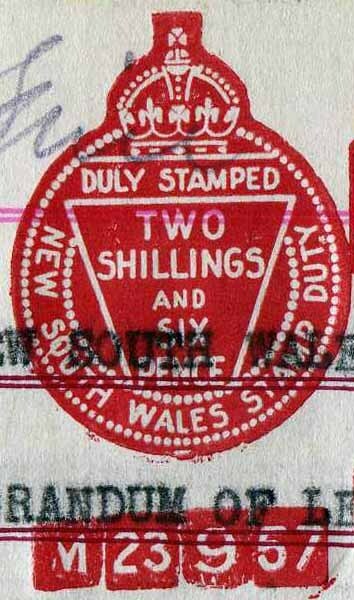 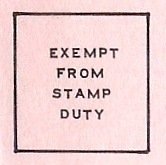 The documents clearly state “No duty stamps” as monies would go direct to the treasury and so to keep the pennies in the Authority’s control it used existing stocks of railway stamps to collect this fee. 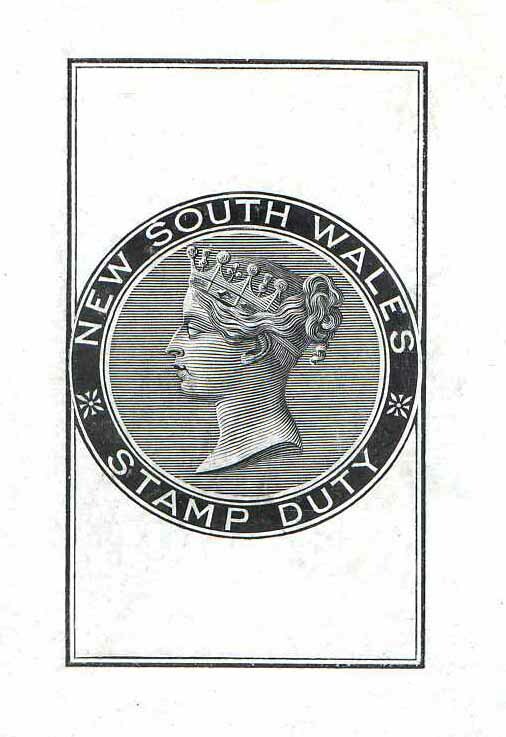 Engraved in steel by a Mr Flack from a design by a Mr Stopps, lithographic draftsman at the Survey Office. 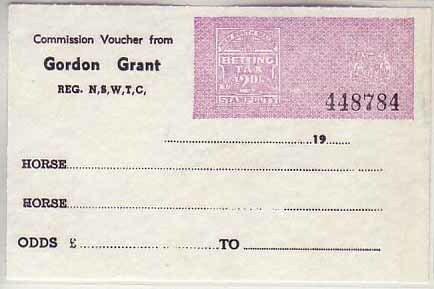 Original issue 1/- - £30. 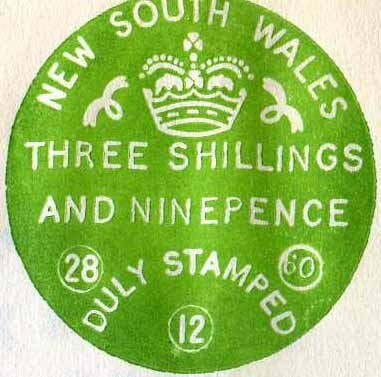 From 1955 Red-Sydney, Green-Newcastle & North Coast. 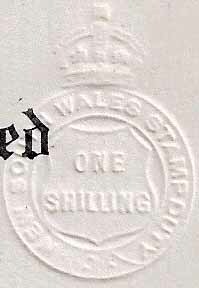 Dated, plain paper document cut out. 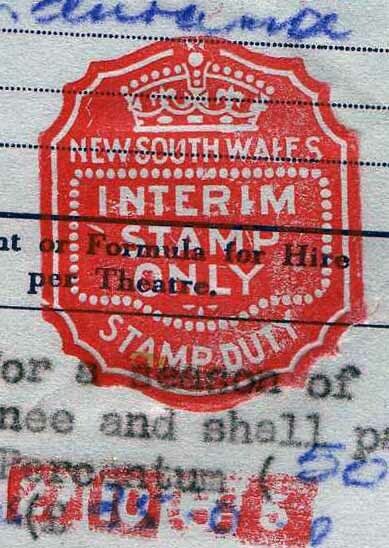 Full document x 3. 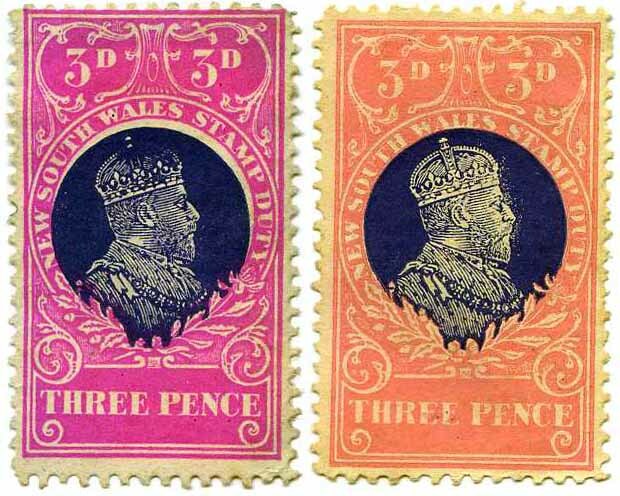 Various shapes. 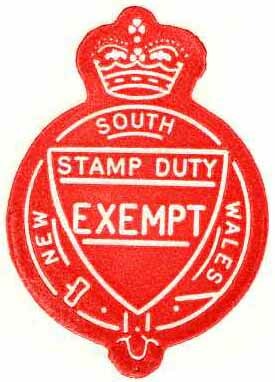 Different shapes exist. 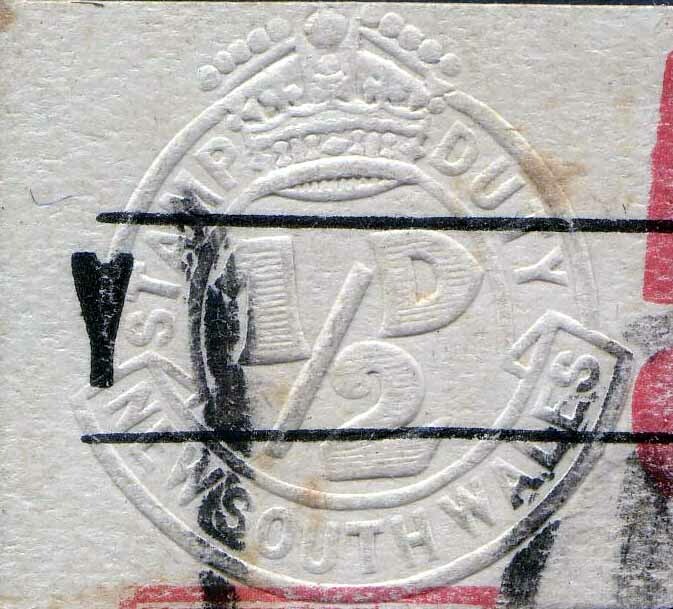 Various broken letters. 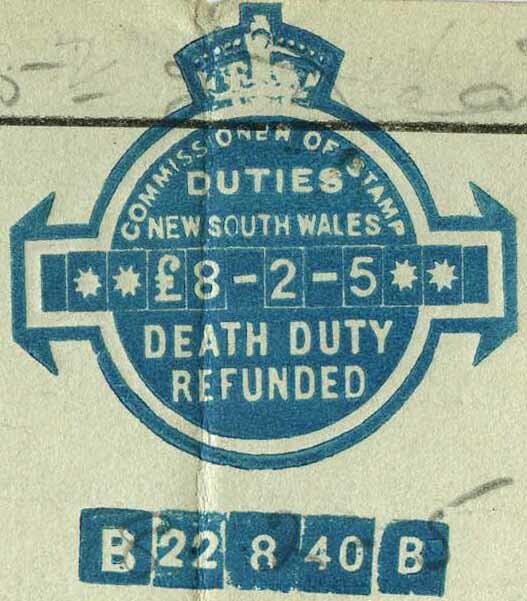 Solid F.